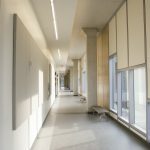 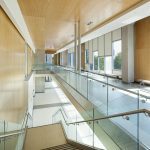 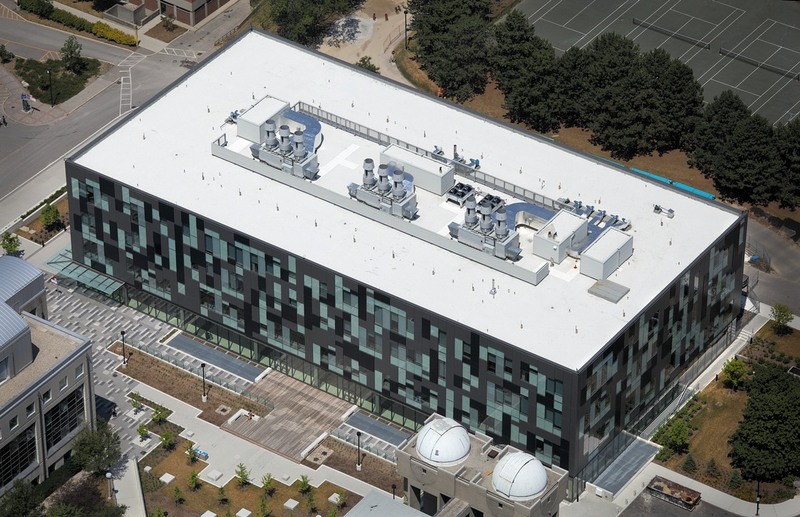 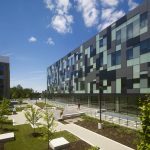 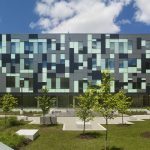 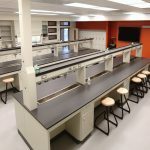 This 160,000 sf, LEED Silver certified building adds significant new world-class research and teaching facilities to York’s science program. 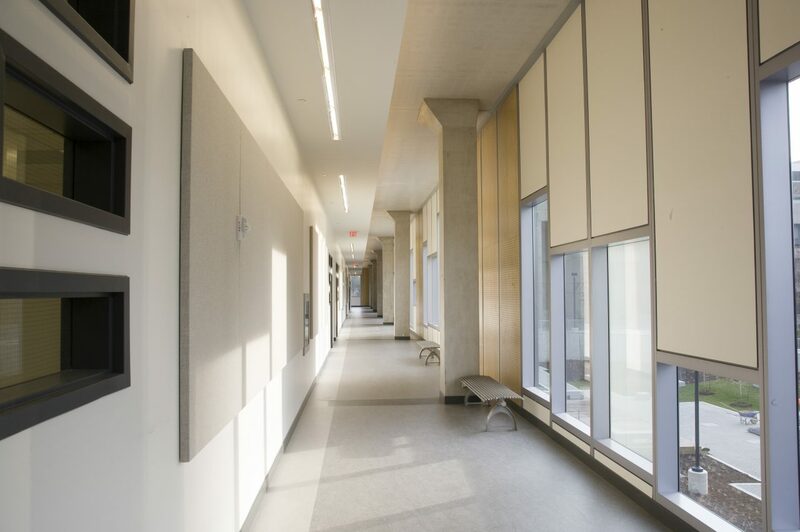 LSB’s program co-locates both undergraduate teaching and postgraduate research providing for exciting synergy and mentorship opportunities. 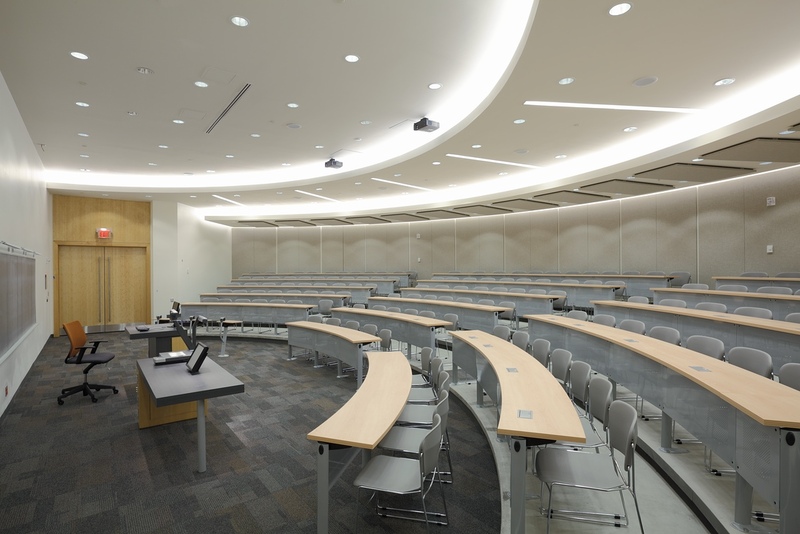 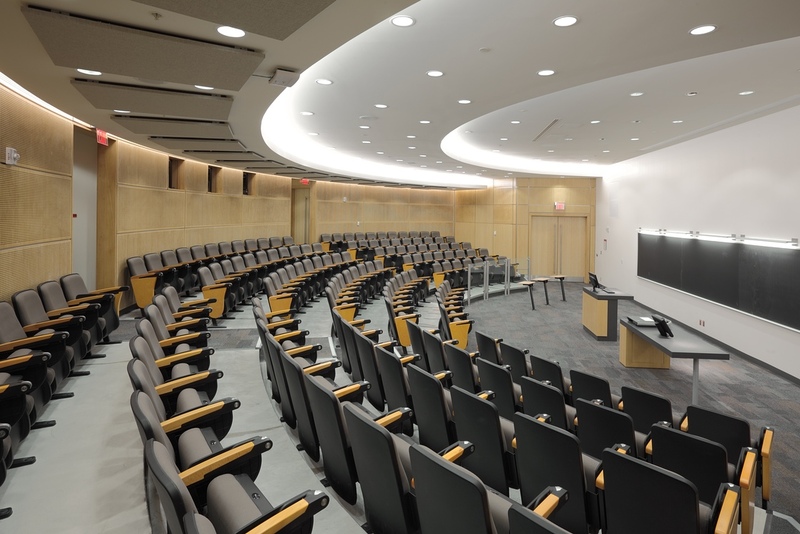 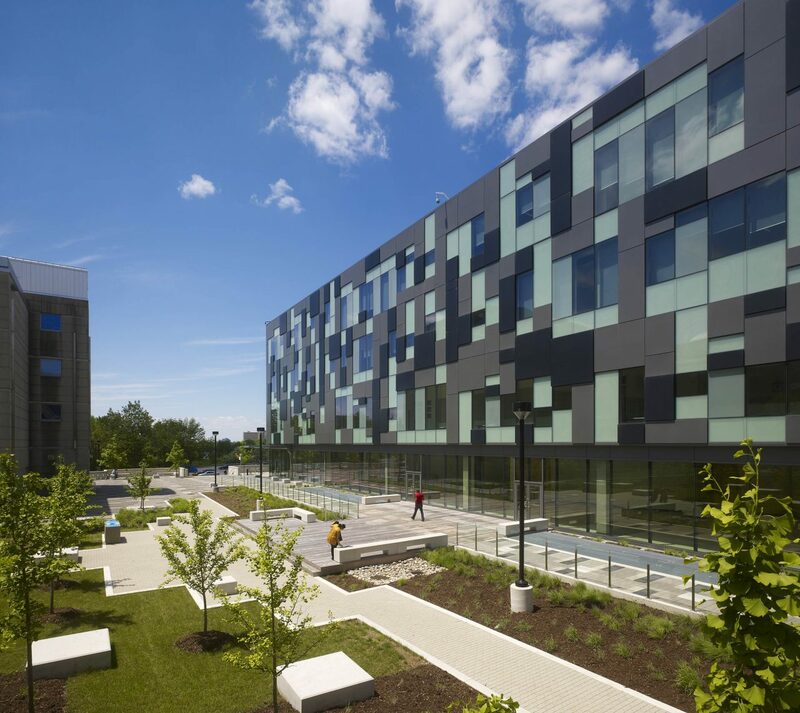 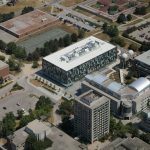 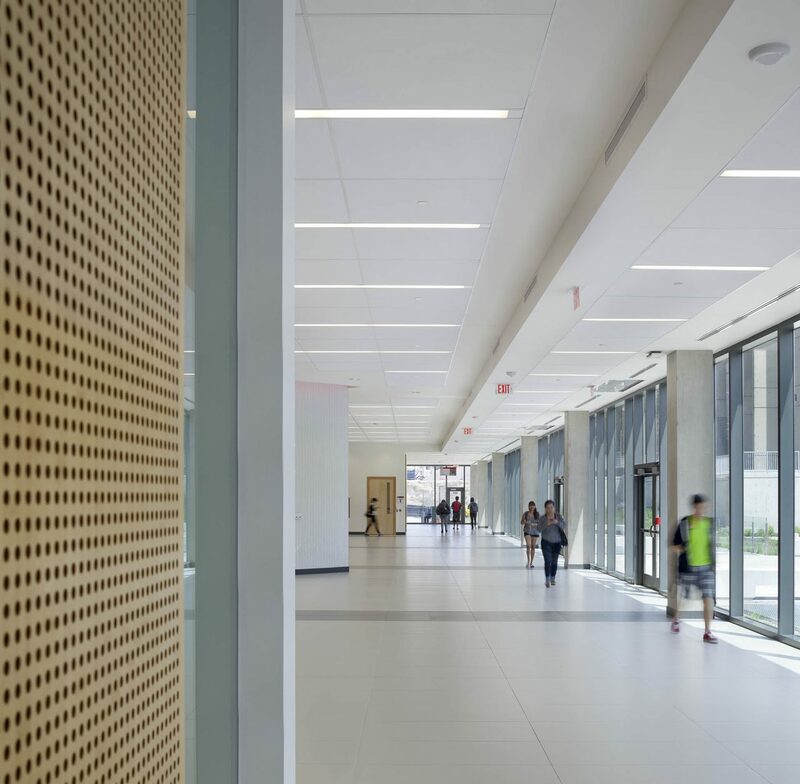 The $65M, 4-storey building includes a lecture hall, seminar rooms, and significant public spaces on the first floor and teaching labs and support spaces for 240 students on the second floor. 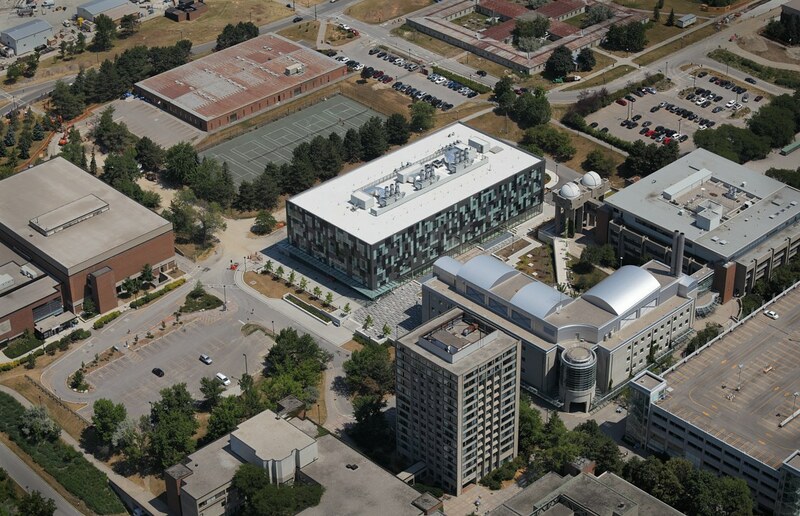 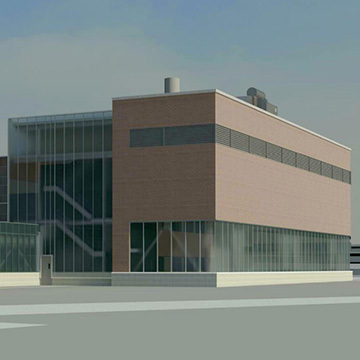 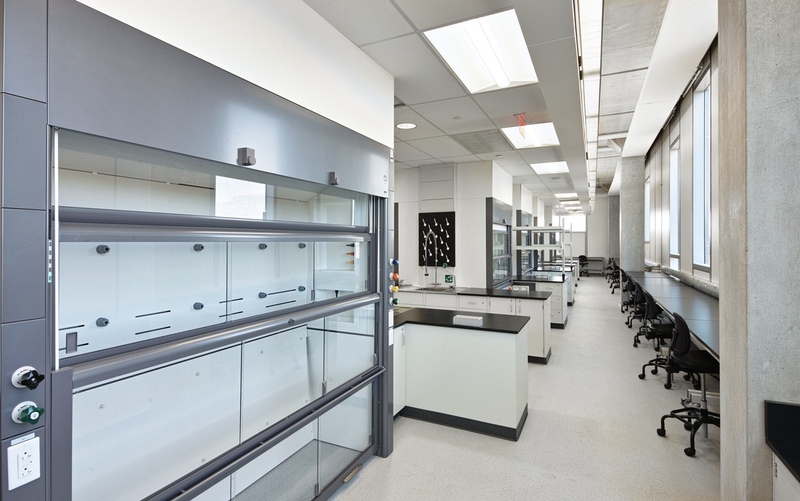 The third and fourth floors contain CL2 research labs for biology and chemistry for more than 20 research teams. 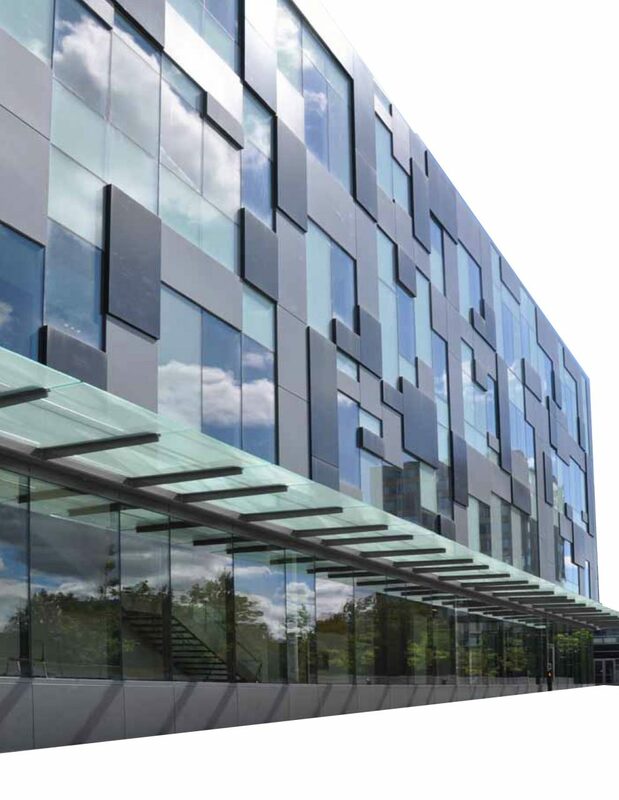 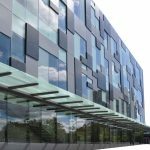 The exterior design reflects the public vs private nature of the building by using glazing around the first floor and a “pixelated’ design on the upper floors. 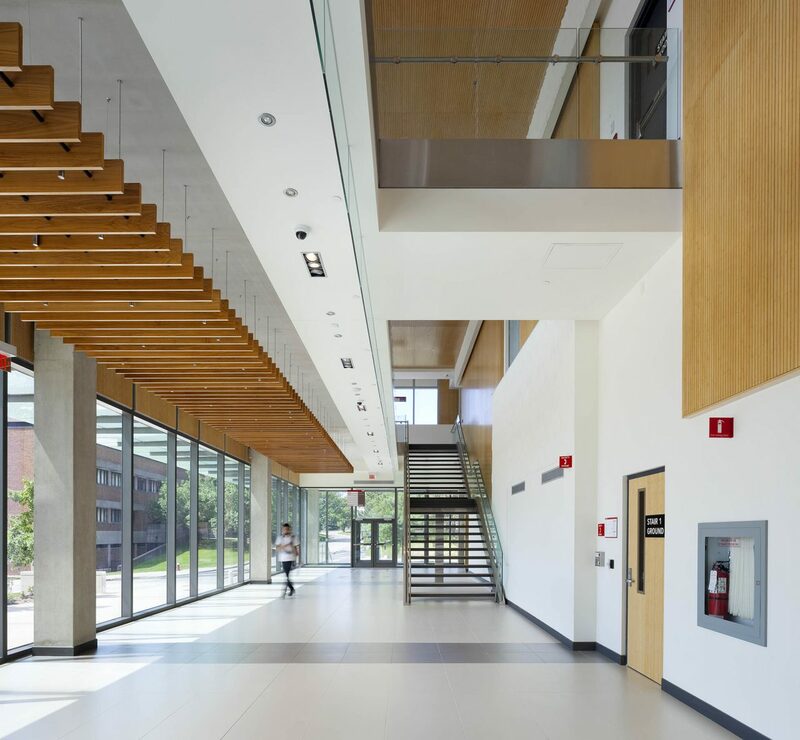 LSB forms a striking new entrance to the campus, provides new pedestrian and transit links, and completes the science quad with a landscaped courtyard. 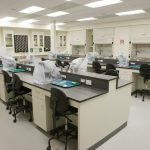 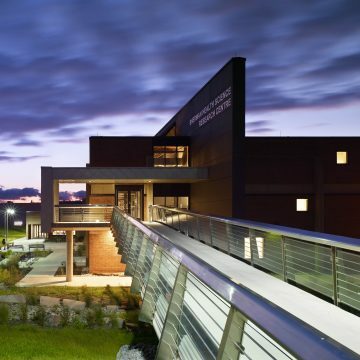 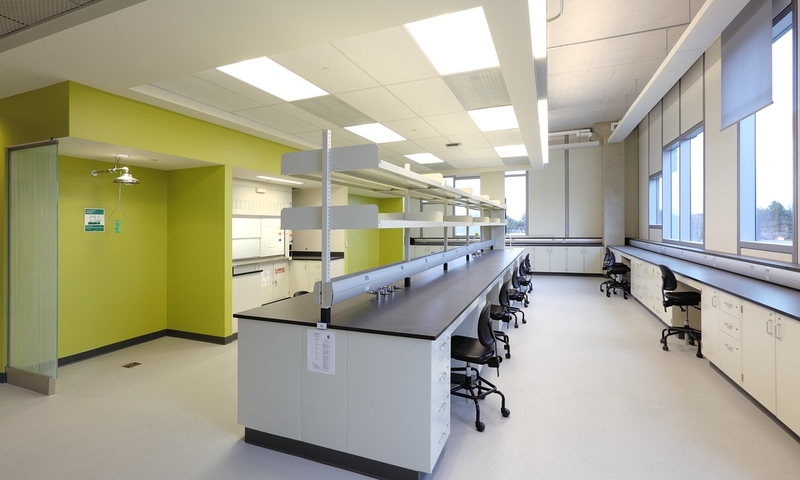 LSB contains 120,000 sf of labs for teaching and research. 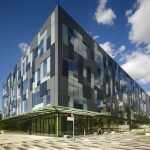 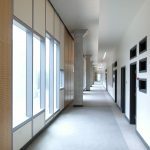 The 4-storey building is stacked in order of security – 2nd floor teaching labs are limited access and the research labs on the 3rd and 4th floors are highly secured, accessible only through card access and elevators. 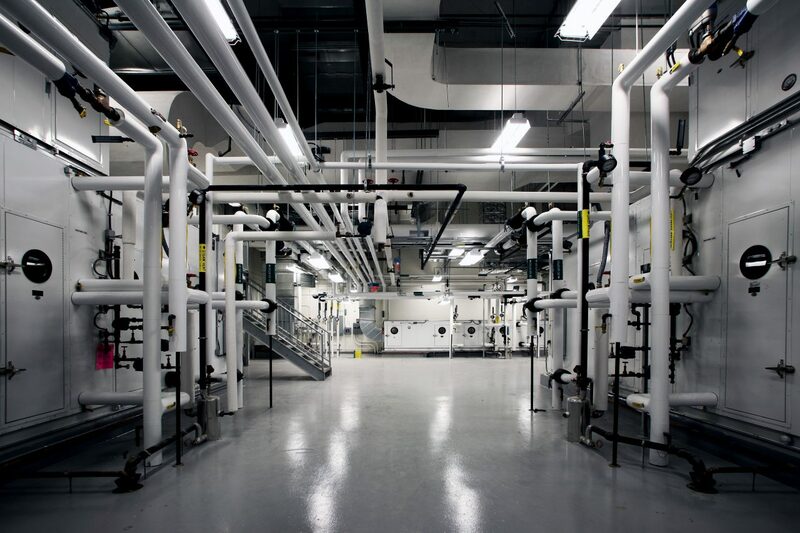 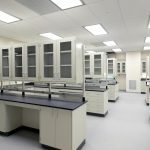 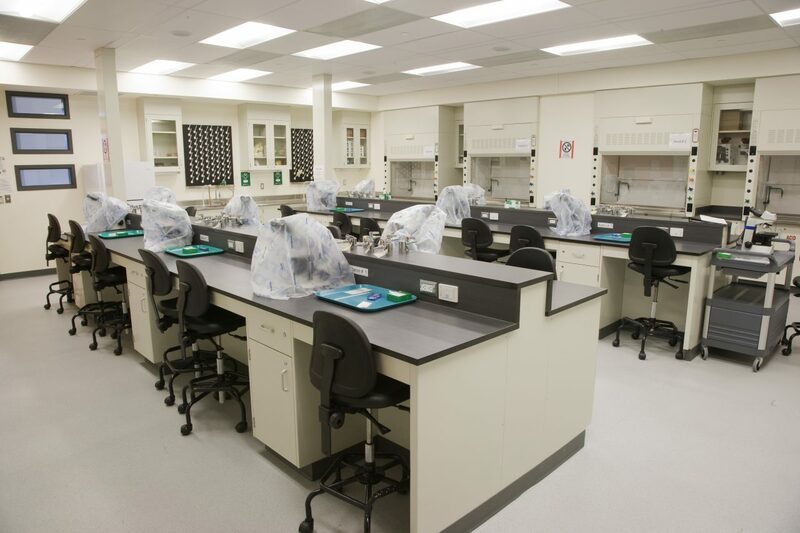 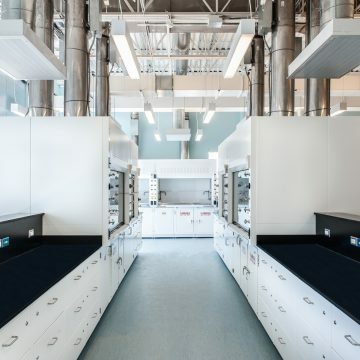 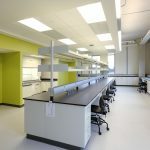 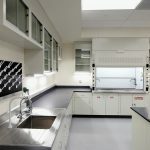 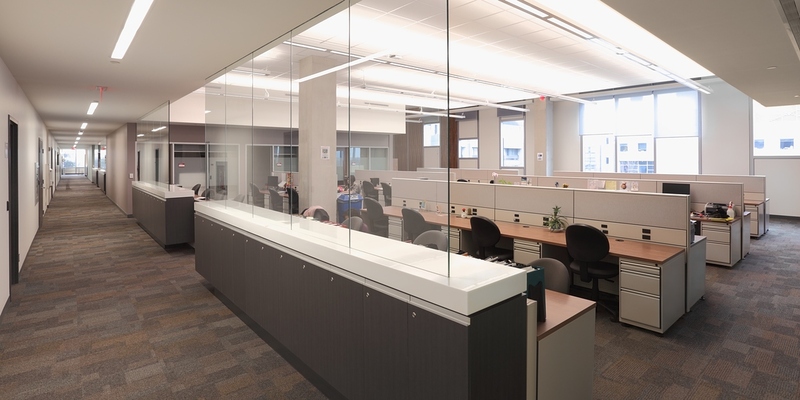 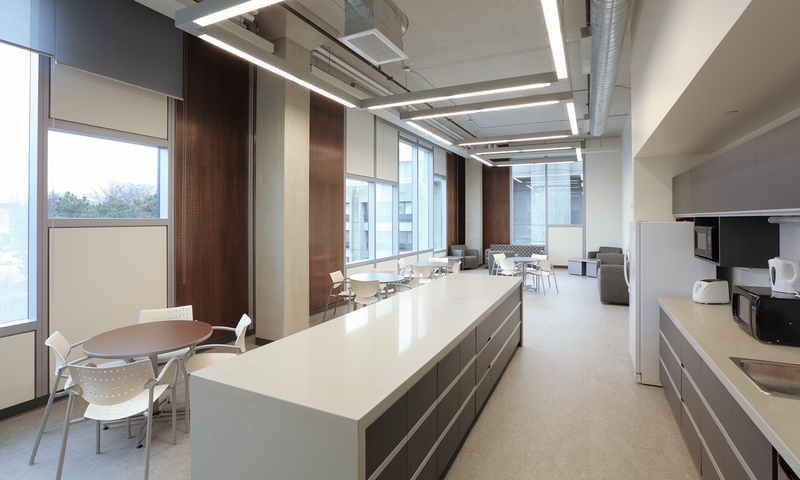 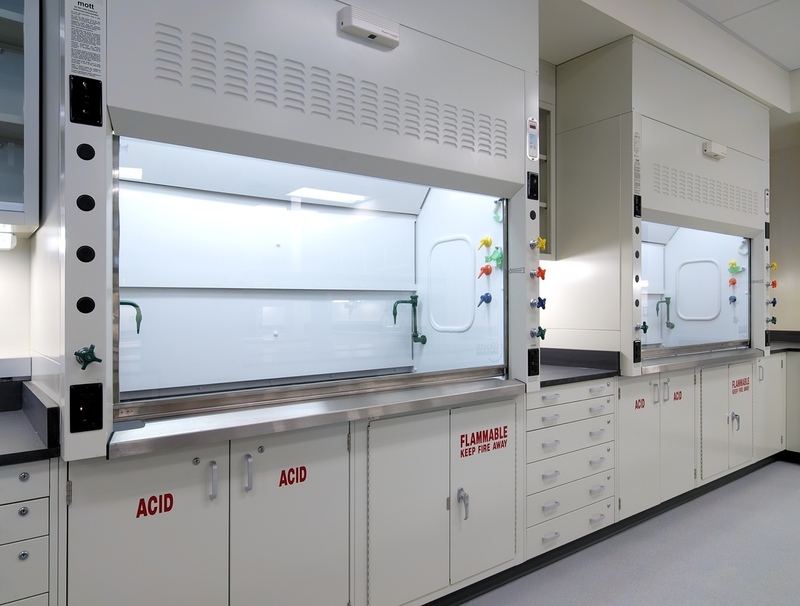 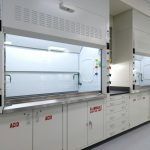 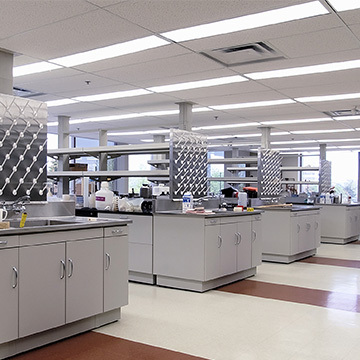 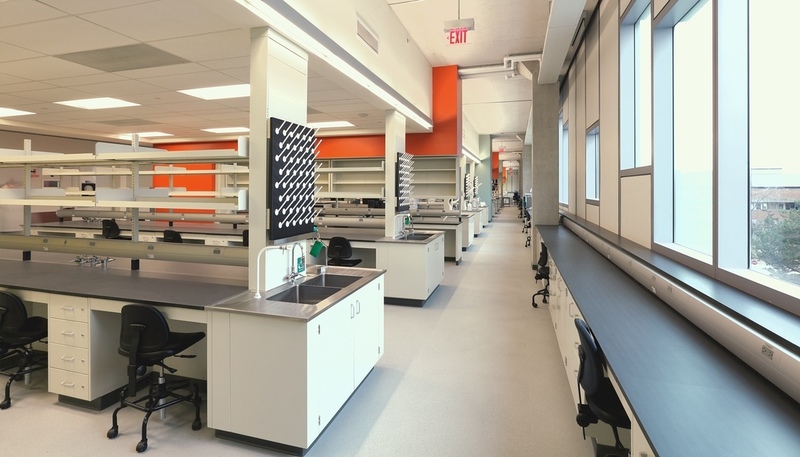 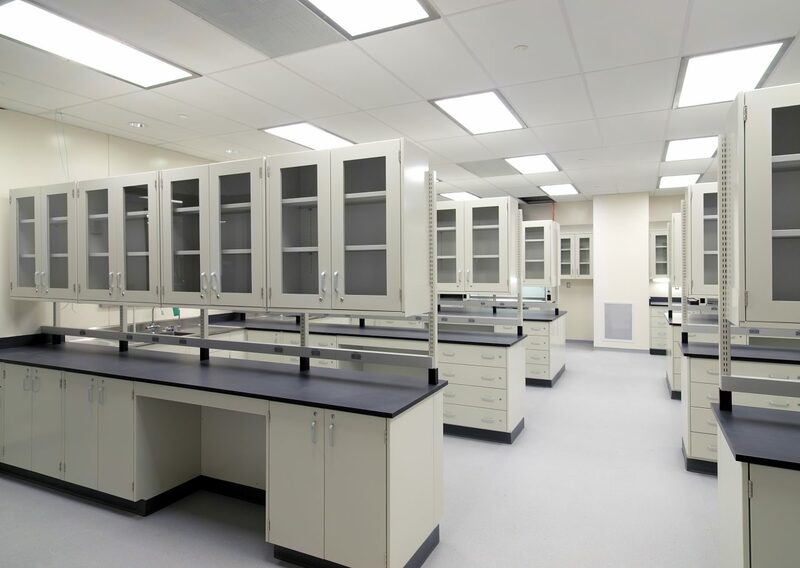 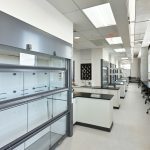 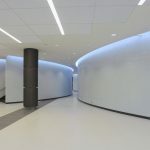 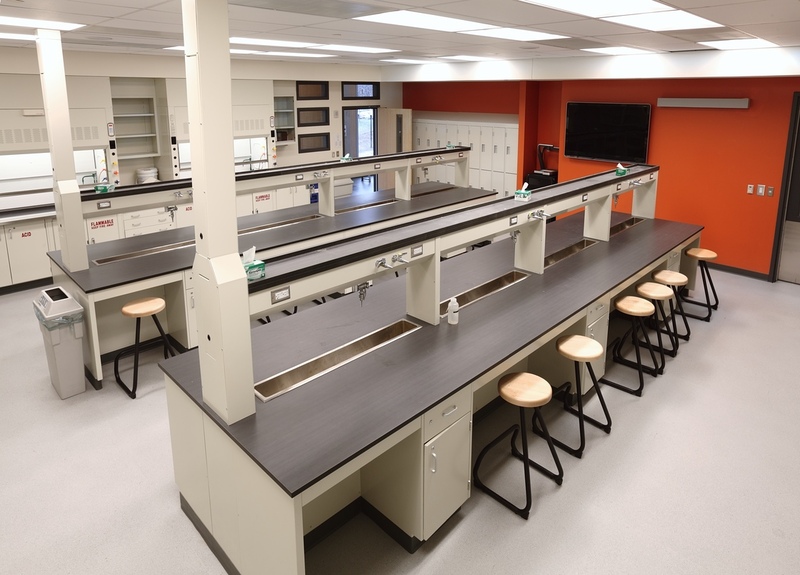 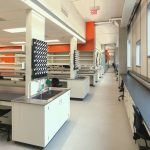 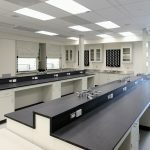 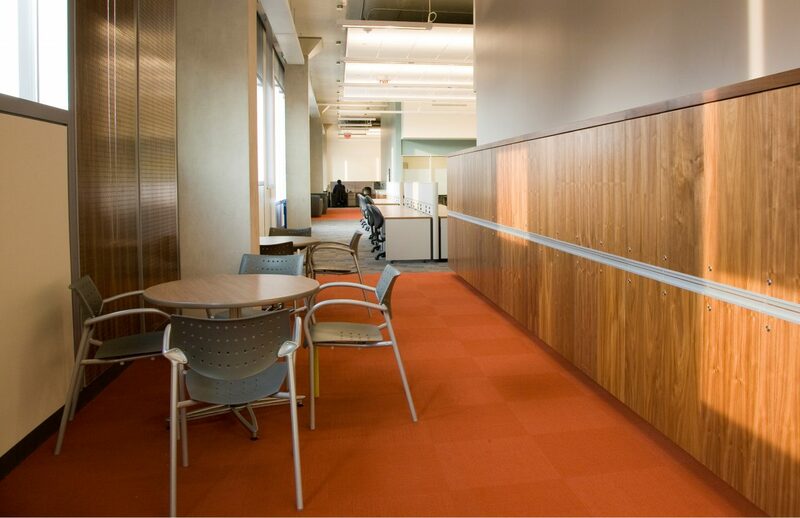 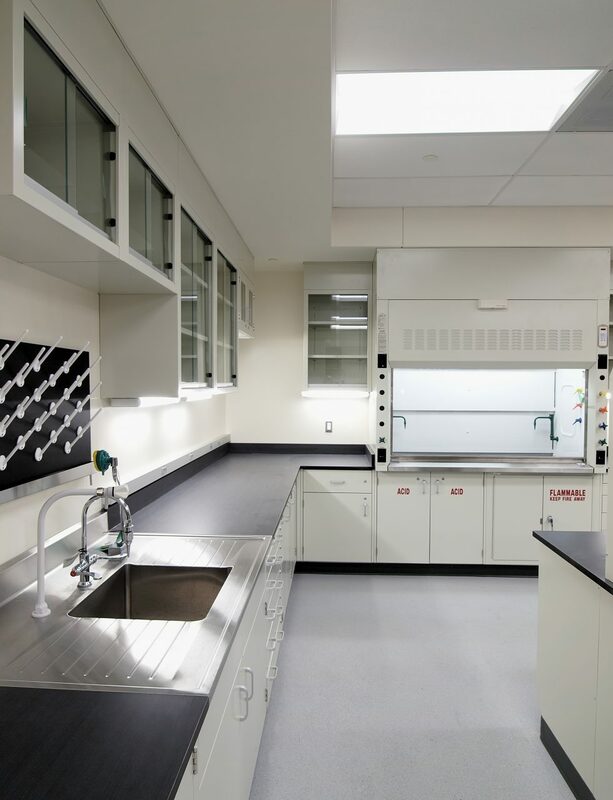 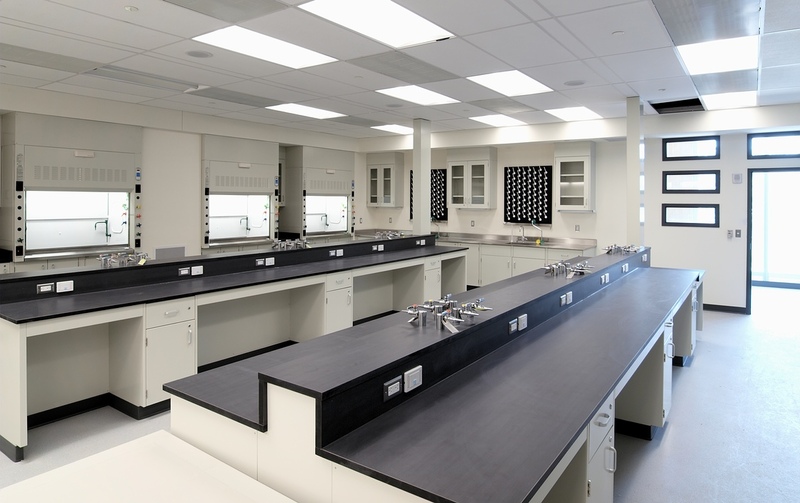 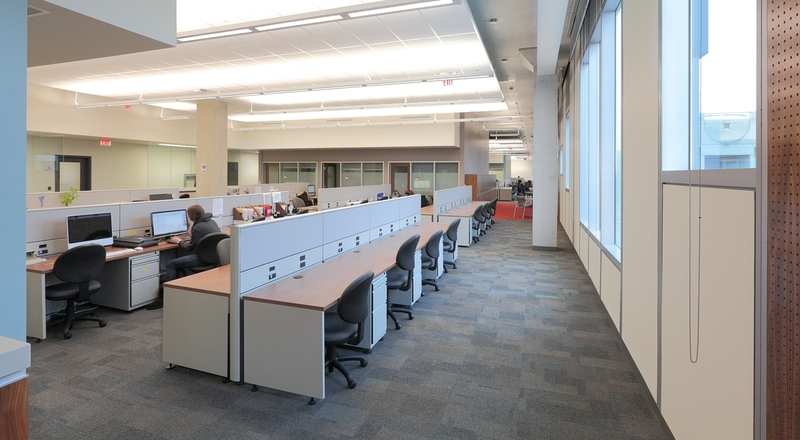 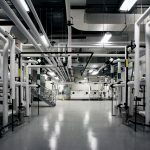 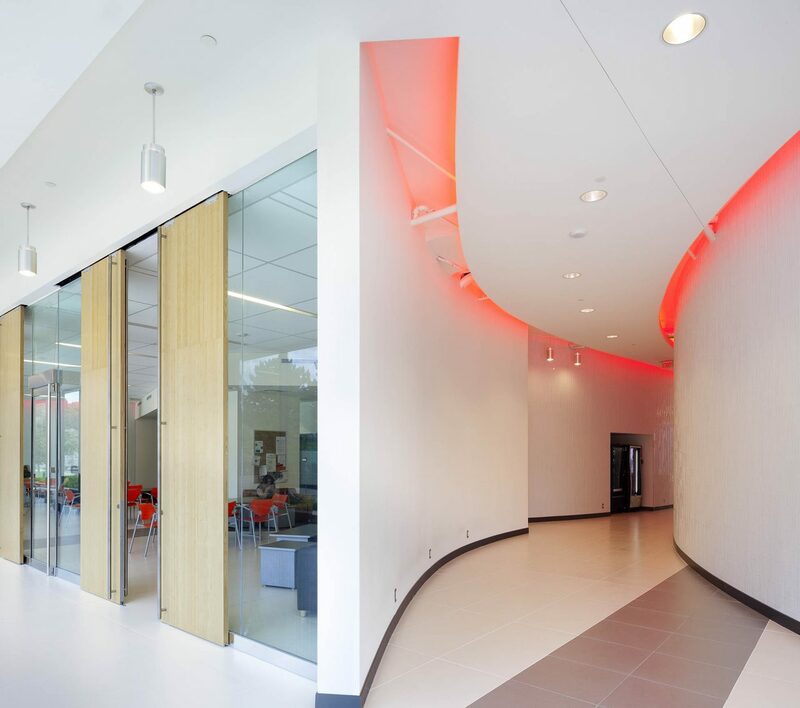 The laboratories are designed with open-space principles, ample access to natural light, intelligent circulation routes, and flexible benching to accommodate changing programs. 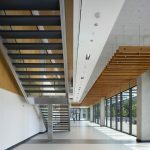 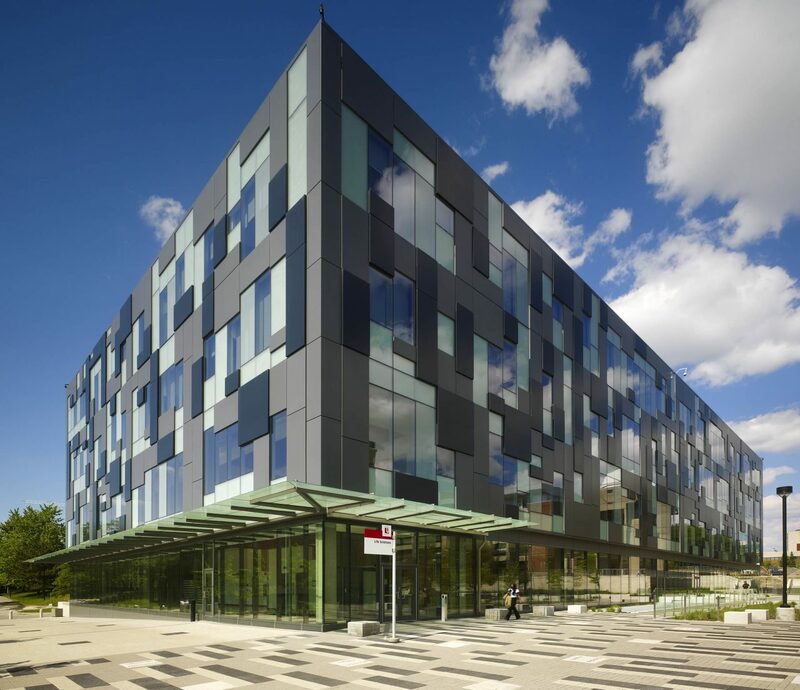 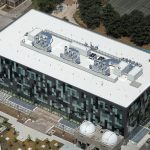 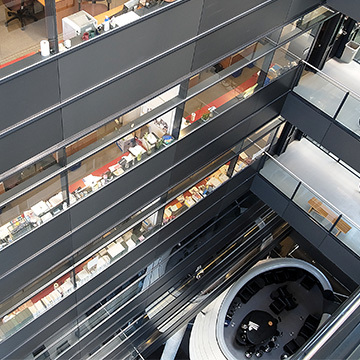 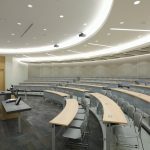 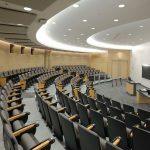 The ground floor contains both public and teaching spaces, including two 144-seat lecture halls, a 120-seat classroom, and two 48-seat seminar rooms, as well as crush spaces and lobbies which connect to the main circulation route in the building. 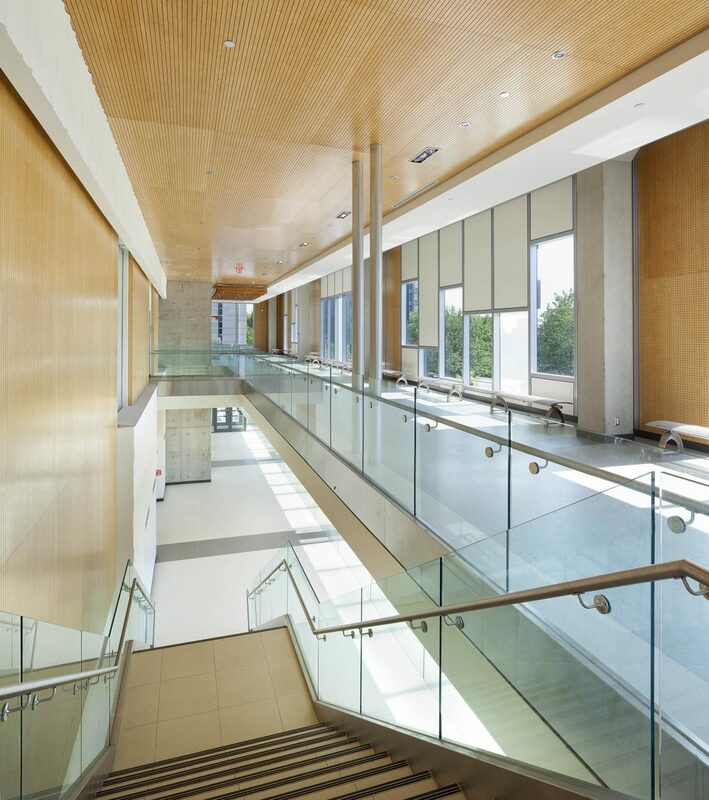 The ground floor maintains an east-west pedestrian path on the campus and opens onto a deck and the science-quad courtyard. 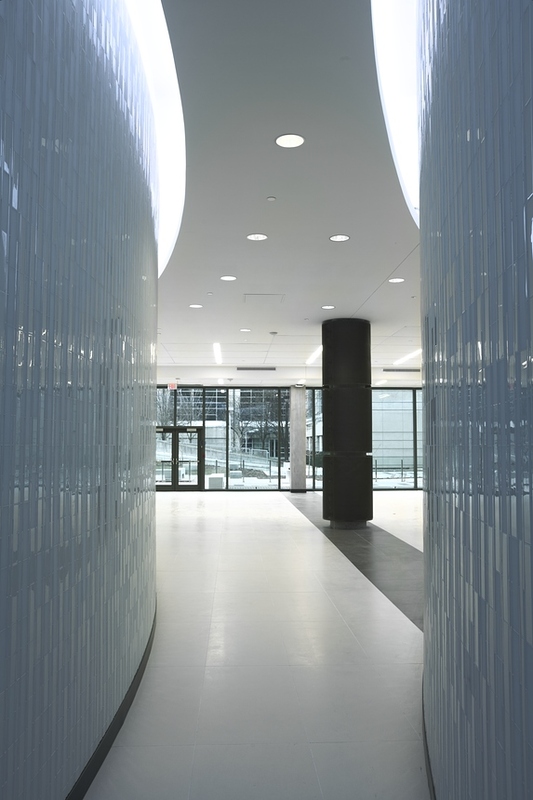 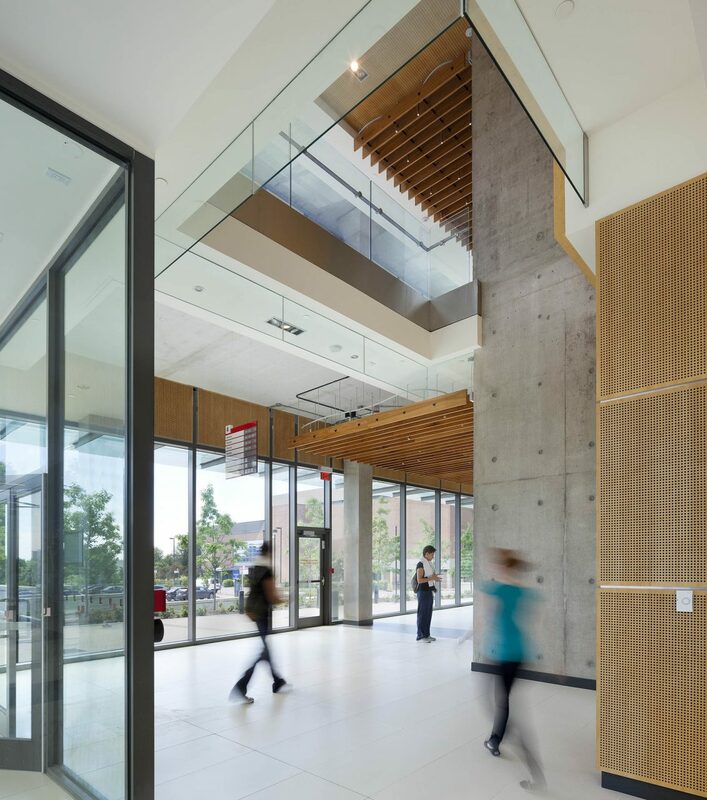 LSB contains extensive public spaces for interaction and circulation. 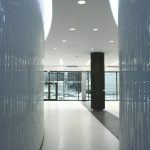 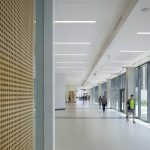 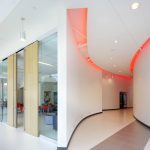 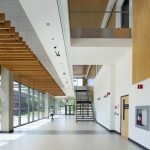 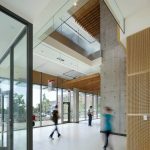 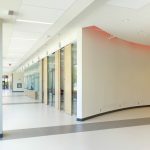 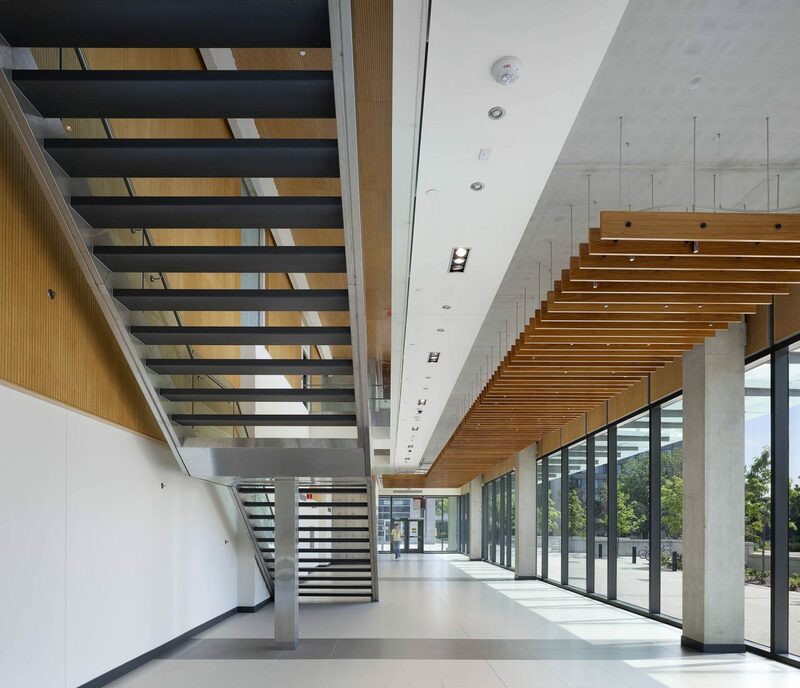 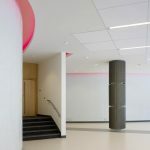 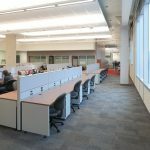 Both the ground floor and 2nd floor lobbies, as well as the crush spaces outside the lecture halls, create an inviting environment for students. 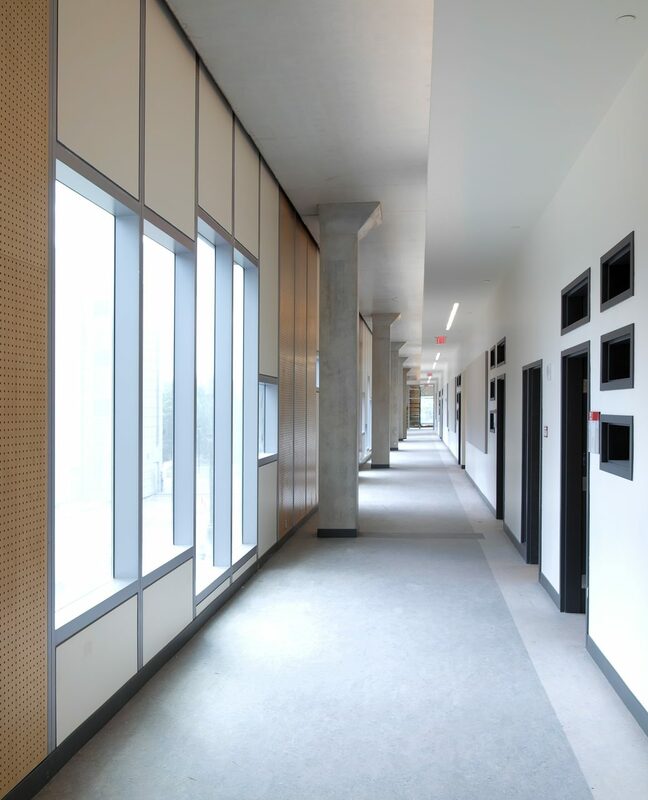 The use of full-height glazed skin on the ground floor integrates the building into the surrounding campus, allowing views to and from the newly revitalized courtyard between LSB and the existing Chemistry Building.